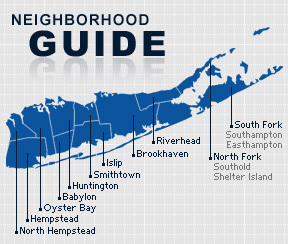 The hamlet and CDP of Bay Shore, located in what is now the Town of Islip, was purchased by European settlers from the Secatogue tribe in 1708. It went through a number of name changes including Awixa and Penataquit, which proved unpopular for being too difficult to spell. Bay Shore became the official name of the town and post office in 1868. With the establishment of a ferry service to Fire Island and rail road from Manhattan, the hamlet became a popular getaway for city residents during the summer and weekends. A thriving shopping district grew alongside the resorts that sprouted up to cater to tourists. Many housing developments were built in Bay Shore after World War II, as the town’s population skyrocketed. During the 1970’s and 80’s, however, the hamlet began to decline as Pilgrim State Hospital deinstitutionalized and many psychiatric patients were moved into rezoned housing without proper professional assistance. Over the past few decades, several restoration projects have gone into effect to revitalize the town. Many new restaurants, shops, boutiques and parks were opened, and the Bay Shore Public High School underwent major renovations. The Bay Shore Union Free School District includes five elementary schools, one middle school, and the recently renovated high school. Musicians Patti Austin and Aristotle Dreher, as wells as gay rights pioneer Harvey Milk, and baked goods selling family The Entenmanns are all alumni of the school district. Other notable residents of Bay Shore include rapper LL Cool J, NFL quarterback Joe Namath, and actress Juanita Hall. As of the 2010 census, the hamlet had a population of 26,337 with 9,064 households and an average of nearly three persons per home. The median household income was $66,382 with males making $50,382 and females $40,304.